Globecast has appointed Renaud Presty as the firmn's new Director of Security, effective immediately. In this role, Presty is handling all cybersecurity and content protection-related issues including: IT security, certification, rules of use, information and awareness, and the security of Globecast’s installations and services. Presty has 25 years’ experience in the security industry. 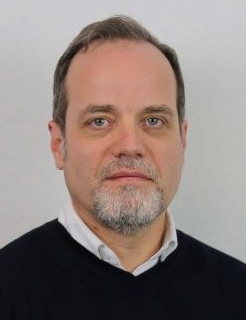 He joins Globecast from Viaccess Orca, a subsidiary of the Orange Group, where he was Security Director and handled all aspects of security including IT/network cybersecurity, crisis management and anti-piracy programs. Prior to this, he was the Security Consulting Director at Trusted Labs where he managed a team of security experts and consultants for premium customers in the banking, transport, and semiconductor industries. Philippe Bernard, CEO of Globecast said that never has cybersecurity and related content protection been such a priority, particularly with the ongoing move to virtualized technologies and increased use of the cloud. Renaud joins Globecast at a crucial time in this industry. The company takes all security issues seriously and Renaud’s skills and expertise will further enhance Globecast's capabilities. Presty added that with the increase in new forms of video piracy and content redistribution threats, associated with the ongoing transformation of the industry, it’s vital that information and infrastructure security programs are carefully evaluated and reinforced. The threat model continues to evolve with the ongoing introduction of internet-based services and the multiplicity of interconnections.